Newcastle Restaurant Week is back for 2016 and bigger and better than before. Over 80 Newcastle restaurants will offer special menus at £10 or £15 for one week only (check them all out here). I am not sure we'll be joining in this year after a disaster at The Vermont Hotel last year where the restaurant was clearly stretched beyond capacity and we ended up waiting 90 minutes for food that was inedible. This is a real shame as The Vermont is usually wonderful. I also visited The Redhouse during last restaurant week (and it is highly recommended) however it turned out their regular special offer was better value than their restaurant week deal and we were wisely recommended by the staff to order from the main menu to save the most money. Also, restaurant week is the week before Steve's pay day and like most people in January, we will have resorted to living on anything we can scrape together in our cupboard rather than splashing out on a meal, no matter how much of a bargain it is. What's the deal: - 2 courses for £10 Conditions and menu here. Why is it good value: - Often described as one of the best pub's in Newcastle for food, The Broad Chare offers honest food with decent beer. At 2 courses for £10 it is a bit of a bargain with dishes such as Pheasant Pie and Boiled Brisket on the menu, it's a lovely spot for a winter warmer lunch. Why is it good value: - Cafe 21 Fenwick is a stylish spot serving fresh and flavoursome food. It's one of our favourite spots for breakfast which usually sets us back around £20 (for 2) so a 2 course lunch/dinner for the same price seems like good value to me, especially when salmon and steak are both on the menu. Why is it good value: - I like that this menu is available until 10 pm Monday-Friday meaning you can take advantage of the offer on Friday night which is quite rare. The food and atmosphere are both fantastic at Caffe Vivo and we think it's the perfect spot for a special night out. What's the deal: - A Garden Picnic for 2 for £15 Conditions here. Why is it good value? - This picnic usually costs £19.95 for two people so you are saving £5. Packed with delicious homemade treats such as roasted red pepper tart, freshly baked scones and peanut butter cake - you get a lot for your money. Garden Kitchen is a lovely place to sit and chat with friends and this offer is available over the weekend too. What's the deal: - 2 course for £15. Conditions and Menu here. Why is it good value: - Hawthorns would be our number one choice after enjoying a fabulous meal there last year. The food and service really are second to none. £15 per person is around half the price of their standard menu so restaurant week offers a very good saving. There is a lot of local food on the restaurant week menu too (I recommend the Turnbull's burger). What's the deal: - 5 Asian Tapas for £10 Conditions and Menu here. Why is it good value: - Although Ko Sai are running this deal on their regular menu every day 3-5pm anyway, I still think it is a good chance to sample some authentic Asian street food outside of these hours (check out why we loved our last visit). What's the deal: - 4 courses for £15 Conditions and Menu here. Why is it good value: - I've never been to Osaka myself but have heard good things and you can't deny 4 courses for £15 is a bit of a bargain! Chilli Beef Ramen has my name on it! What's the deal: - 2 courses for £10 or 3 courses for £15. Conditions and Menu here. Why is it good value: - A prawn hanging kebab would normally set you back £13.95 so the fact that you can order this plus a starter or dessert for £10 saves you lots of £ on the regular menu. We've always had fantastic experiences at The Botanist and love the atmosphere, live music and cocktails. When:- Anytime Monday-Sunday. Conditions and Menu here. Why is it good value:- There aren't many deals in restaurant week that include a drink and I think £15 for three courses plus a drink at anytime is superb. The food is always delicious and fresh and the atmosphere is welcoming and inclusive. I could almost be tempted with this one! What's the deal: - £10 for a 2 course lunch (before 5pm), £15 for a 2 course evening meal (after 5pm) Conditions and Menu here. When: - From 12 noon Monday-Sunday. Why is it good value: - Although Viva Brazil has received mixed reviews since it's opening, a 2 course lunch serving over 20 unlimited meats for £10 seems like the perfect time to try this Churrascaria restaurant for yourself. Nice if you fancy trying something a little different. 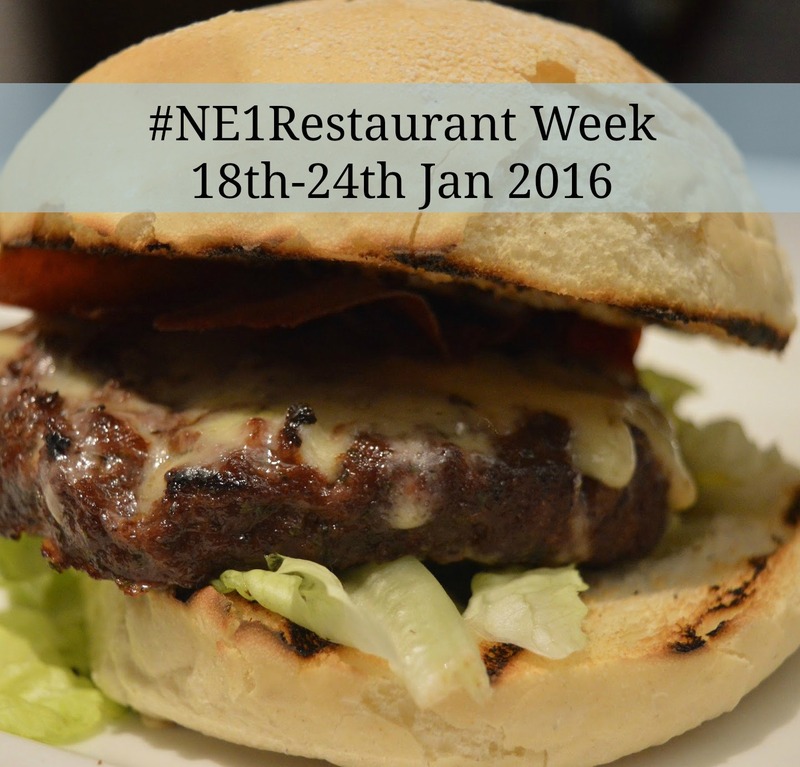 You can view all 80+ restaurants taking part in Newcastle restaurant week, their menus and booking details over on the NE1 Newcastle Restaurant Week Website. All details and offers are subject to change. I am going to 21 down on the Quayside, I go to Cafe 21 all the time and I adore Terry Laybourne but I've never made it to his signature restaurant so I'm looking forward to giving it a try. I eat at Kosai all the time, I recommend trying that if you haven't already as the food is pretty amazing.